Carre d'artistes - Creative Mindworks, a Miami Florida based internationally ranked integrated marketing and advertising firm, solutions driven and Thinking Fresh Daily! How do you represent an art gallery like no other? 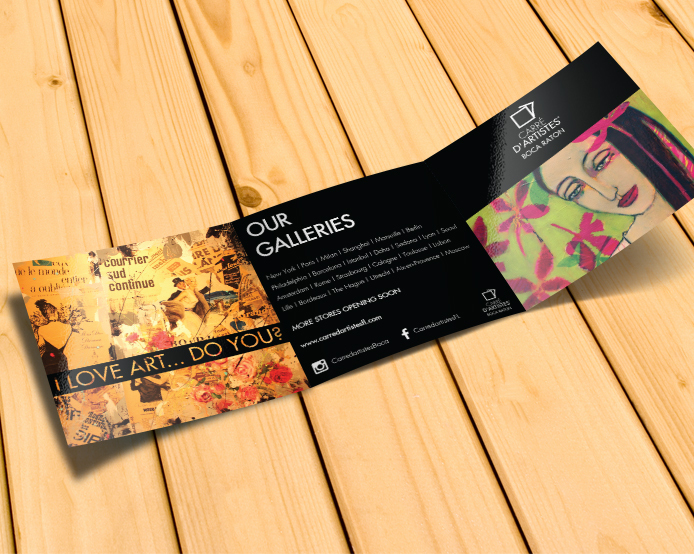 With innovative, creative marketing materials as artistic as the products they represent. 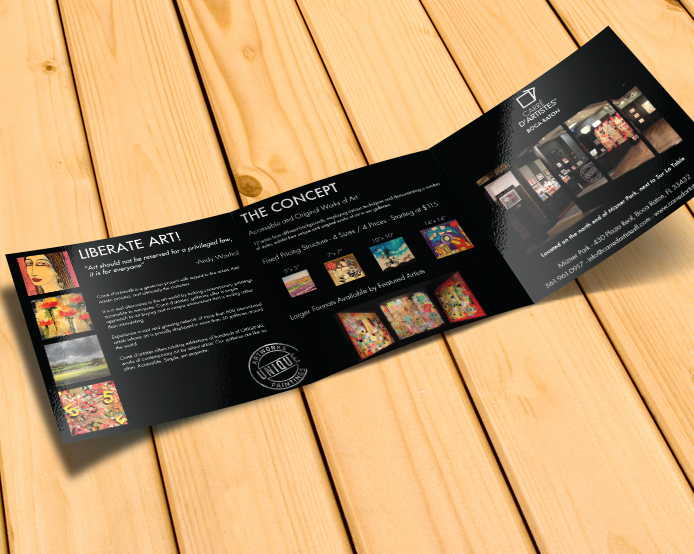 That was the case when Creative Mindworks was tasked with producing a brochure and email campaign for Carre d’artistes, a thriving art gallery based in Mexico and New York City. The finished product was unveiled to the warm reviews from the clients and is still on display for prospective customers today.